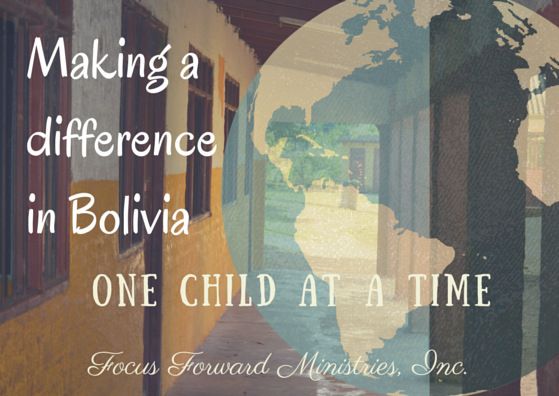 Our next mission trip is scheduled for Santa Cruz, Bolivia, May 28-June 4, 2016. The trip is currently full. Cost is $1,800 (which includes flights, lodging, food in country and transportation in country). We will fly from Tallahassee, FL on May 28 and return to Tallahassee on June 4th. Times and exact locations, as well as other information will be determined later. Non-refundable deposit of $200 (Due on November 15, 2015) is required to hold your spot until the flight reservations have been made. You must have a current passport, as well as current yellow fever and tetanus vaccinations. If you are interested in joining please use the contact form below. You may also contact us by email at focusforwardministries@gmail.com with questions. Once we receive your information, we will forward to you the trip requirements page to sign and return to us. Thank you for your interest in going and sharing in spreading the Gospel with Focus Forward Ministries!